A creamy coffee, biscotti fusion sure to delight coffee and cookie lovers. This is an AltCig Team favorite - it's unanimous... we love this flavor. 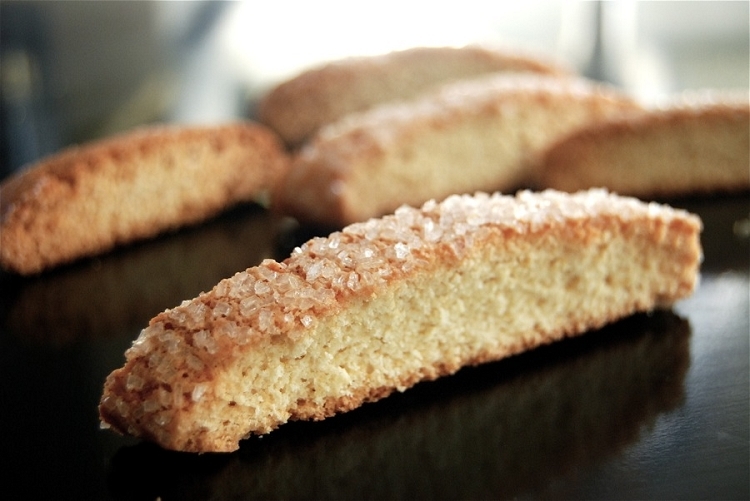 We hope you enjoy Vanilla Biscotti as much as we do! My O My O MY! This tastes exactly like the description to a "T" ! On the draw, you pick up the cookie and on the exhale (especially if done through the nose) you get the coffee flavor...nice and subtle! AltCig has the best coffee flavors! I got this to try as a freebie with my last order and was blown away at first vape, no steeping or waiting required; it's that good. Perfectly true to it's name in every way and it's absolutely delightful. I love sweet vapes and AltCig has the best around hands down. Vanilla Biscotti is definitely one of my new favorites and I can't wait to see what the super friendly folks here come up with next! :) I was already a customer for life and now my husband is too (now maybe he'll stop 'borrowing' mine). I love the little personal touches that arrive with each order - between that and the consistently tasty vapor treats my day is always that much sweeter! I like everything I've tried from here but didn't think I'd find anything I like as much as the Caramel Cappuccino but I love this one too now. Very smooth and rich. Vanilla flavor is not too sweet or overwhelming. This juice is my absolute favorite. It's delicious by itself, and adds a creamy vanilla touch when mixed with other dessert or fruit flavors. Also, AltCig has great customer service. I'm a big fan of AltCig and this juice! Another new favorite added to my rotation. I can vape this all day without getting tired of it. It's a creamy vanilla treat for me. I don't know how you guys do it, keep up the great work! Taste like biting into a Cookie dipped into a Vanilla Latte. Smooth vape with good clouds. Great stuff. Thank you AltCig for this free sample.. my favorite out of the bunch, will be ordering more.